My assumption is that all of you are working diligently towards a side hustle (or two). If so, this article is for you. Currently, the near majority of my income comes from my employer. My goal over the better part of the past six months has been to diversify my income stream. I started this blog two years ago as a way to track my personal growth and progress with women. Two years later, and it has transformed immensely. I now create longer content with the focus on inspiring you, the reader, to find success and fulfillment. I hardly do any monetization on this site, just the occasion amazon affiliate link here and there. I rely on great writing, social sharing, and my e-mail list to get my message out there. If I help someone improve every day, then I am more than satisfied. I’ve begun to dabble in other monetization efforts outside of this blog. I’ve spent much time researching and learning the various methods of making money online. It won’t be quick or easy (the learning curve is steep), but I am dedicated and hungry. Most of my ventures are in their infancy – the trial and error stage – but I’ve done a significant amount of research before going down each of these paths and hope that I will continue to grow as I learn more and more. Never feel like you need to know everything before getting started. This will only lead to inaction. You can paralyze yourself by trying to know everything ahead of time. The best learning comes by doing; working through issues, and applying new knowledge “on the fly.” This is the core of the growth mindset. Failure is always a good thing, but only with the proper mindset. You learn what doesn’t work and use creative reasoning to accept and adapt to the issue. Since I began building websites and trying new ventures – I’ve made more than my fair share of mistakes – but each time I bounce back with a better idea or knowledge to correct my earlier flaws. I want to share with you some ways in which I measure my success with these side hustles. It isn’t what you think, however. My focus is on the self more than the specifics of the side hustles themselves. Are you ready to add more work and stress to your life? We will see. A semi-passive income stream is my first goal, as I’m sure it is for 90% of you. 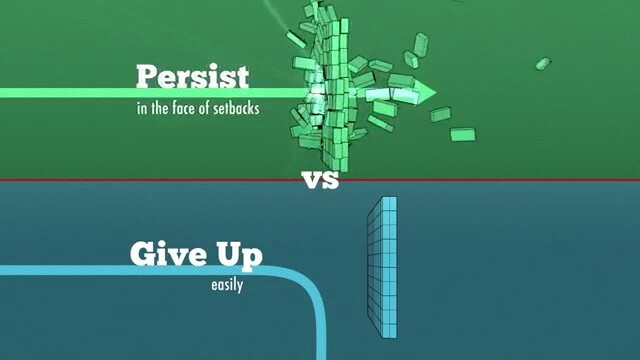 But before achieving that, there are ways to make sure you are learning, applying, and growing in a way that will make you a well-rounded machine who embraces setbacks and challenges as eagerly as successes. 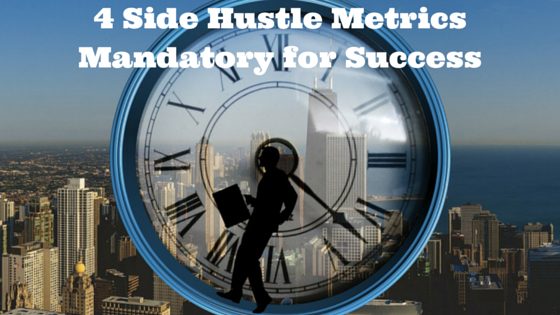 Let’s examine four necessary side hustle metrics you need to master. In order to successfully add an additional income stream, you need one thing more than any other; Self-discipline. Are you actively pursuing your side hustles? Giving them your full attention? Your focus levels need to be elite. Your time management skills need to be extraordinary. It is the only way you will appropriately allocate your time and focus on tasks that add value to your life. Are you looking to work hard for results, or are you looking for a shortcut? You see, most people want the result without the hard work. They want to bask in the glory of success without learning the mandatory process; skipping the Mastery phase and jumping right to the monetary gain phase. That isn’t how life, much less success, works. You must dedicate yourself completely. You need to learn the intricacies, the tiny details, the potential risks and pitfalls. You need to craft your vision. Apply yourself, the best of yourself, and then work to mold your approach as you learn and grow. Looking for shortcuts is the lazy way out. In fact, it’s not a way out. It’s a road to nowhere. Copying the theories, ideas, or work of others is also lazy. You won’t make any money from it, and you certainly won’t gain any respect either. Be original. Learn to “see around the corner.” You don’t need to be a transcendent visionary, but you do need to learn to master creative though. Are my effort levels satisfactory? Am I too comfortable with my current life (and income) to force real change and growth? Will I apply myself fully to achieve financial independence and a reliance on myself? Am I lazy? Do I look to copy others and cut corners? There are hundreds of things vying for your attention each day. News headlines, blogs, videos, movies, gossip – you name it. I could sit and spend each day reading blog posts on areas I am interested in. There is a good amount of quality stuff out there in every niche imaginable. However, is this really doing anything for me? Would my time be better spent actually creating something? Learning is necessary, but it must be the right way. Not wasting time with YouTube videos or devoting the majority of your time reading someone else’s opinion, stories, or success. Our duty is to create your own story, but this can only be achieved through working hard consistently and efficiently. Learn to limit your intake. I used to read endless blogs each day. I would consume everything that was written. I’d click on more links in the articles and read even more stuff. By the time I was finished, the last thing I felt like doing was working on my own ideas. I was tired and my brain was shot from all the consumption. Nowadays, I will check a few blogs here and there, but only during scheduled times throughout the week. No longer will I immediately read something upon publication. I also do my best to avoid mindlessly browsing the web and social media. This isn’t because the information is bad, although this can be a problem too, but to police myself, to stay focused on creating my content and ideas. My time is now spent working on my own endeavors, and my subsequent free time is spent catching up on the opinion and the words of others. Am I wasting time on the wrong sources? Do I spend too much time living vicariously through the success of others? Do I have a compulsive tendency to drop everything and browse the internet or social media? How have you applied the knowledge you consumed? I you don’t apply it, is it really necessary? Failure is a product of mindset. How you handle it depends on how your brain is wired. Does it define you, or is it simply a tool you use to progress forward? An entire book devoted to this subject, Mindset: The New Psychology of Success (Carol Dweck). 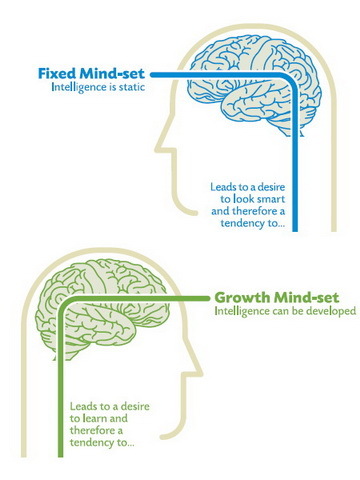 Dweck examines two distinct mindsets; the growth mindset and the fixed mindset. Growth mindset people believe they can improve by giving better effort and gaining more experience. They work hard and embrace challenges because they believe talent and performance isn’t finite. The only way to realize true potential is through passionate dedication in the form of training and practice. This goes hand in hand with the Mastery theory, as laid out by Robert Greene in his best selling book. Fixed Mindset people believe that talent and intelligence are fixed; there is no point in risking failure or trying harder because success is finite, a reflection of one’s inherit intelligence. These people are afraid to look weak or unintelligent, so avoid taking big risks or attempting tasks which could lead to failure. This obsession with always validating oneself means that life is about staying safely in one’s comfort zone. A growth mindset is a healthy mindset. You know you need to work hard, but this excites you, because you know it will lead to potential greatness in the future. You embrace failure, because it is nothing more than a learning experience. To never fail means to never try anything of significance. You will never achieve mastery or success with such a timid, fixed outlook. When you fail do you understand why? Do you look at (and apply) what you could have done differently? Do you avoid risking your pride by avoiding challenges? Every January 1st, people can’t wait to write new, bold goals they hope to achieve. “New year, new me” is the expression, I think. As we know, most of this enthusiasm quickly dissipates, and these people fall back into the same life they are currently leading. This is due to weak mindset and a lack of self-discipline. However, even the most diligent individuals often overlook a crucial part of the goal setting process; reviewing previously set goals. Reflection is the missing ingredient between those who are successful and those whom fall short. Setting goals is meaningless if we don’t also look back and examine them. We must look back at our efforts to make sure we are on the right path going forward, that the goals are attainable, and that we’re keeping ourselves disciplined. This “internal review” doesn’t need to be focused strictly on each goal, but can instead be a synopsis of the prior year, month, or week. Gym: Tracking weight lifted, sets, reps, time rested, and energy levels. Writing: Auditing your editorial calendar – are you on task with your posts? Hitting deadlines? Financial: Examining your account statement; where did you waste money? Time: Was your time in general spent as wisely as it could have been? Reading: How many books did you read? What was the most impactful? Holding yourself accountable is important. When adding side hustles into your already busy life, you need to make sure you have achievable, written expectations of where you are going. Just as important is spending time reviewing your initial expectations and determining where you exceeded and where you fell short. This exercise helps to increase your creativity too. You will identify what you enjoyed (and thrived at), enabling you to focus your time and efforts appropriately going forward. What is your method for tracking goals? Do you summarize or audit your previous year? Do you keep track of your progress in the gym, or simply try to memorize it? Do you track your calorie intake each week? Are there areas of your life that go unchecked with goals or limits? Our lives are busy, and trying to develop side hustles will be a disaster without a strong plan in place. These side hustle metrics are mandatory. Knowing what it takes for success is a prerequisite for said success. Effort levels need to be consistent; no copycat behavior or trying to cut corners. Putting in the work achieves sustainable results. When learning, chose the right sources. Get rid of time wasting activities and spend more time actually creating. Failures are important; they mean you are actually trying hard. Embrace them. Eek out challenges because the more difficult a task, the greater feeling upon its accomplishment. Finally, be sure to not only set goals, but review them as well. In fact, review the good, the bad, and the important from the past year. I wish you the best on your endeavors. Stay focused and diligent friends. 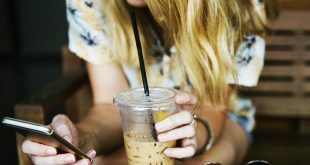 Are you working on any side hustles? What kind of roadblocks have you hit? How have you persevered?